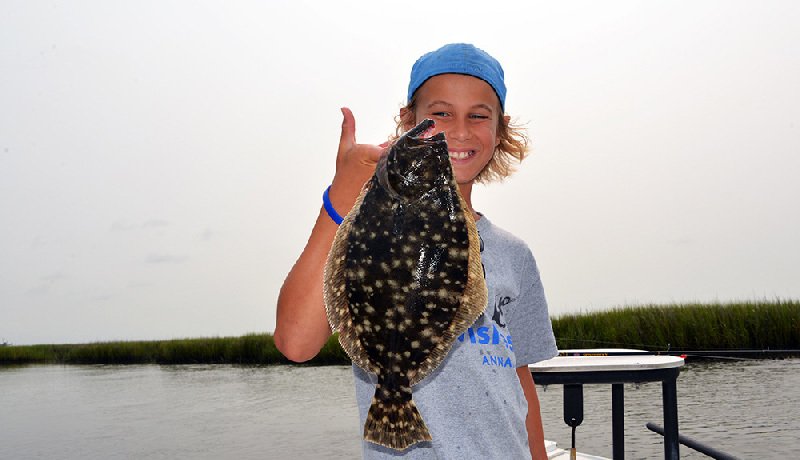 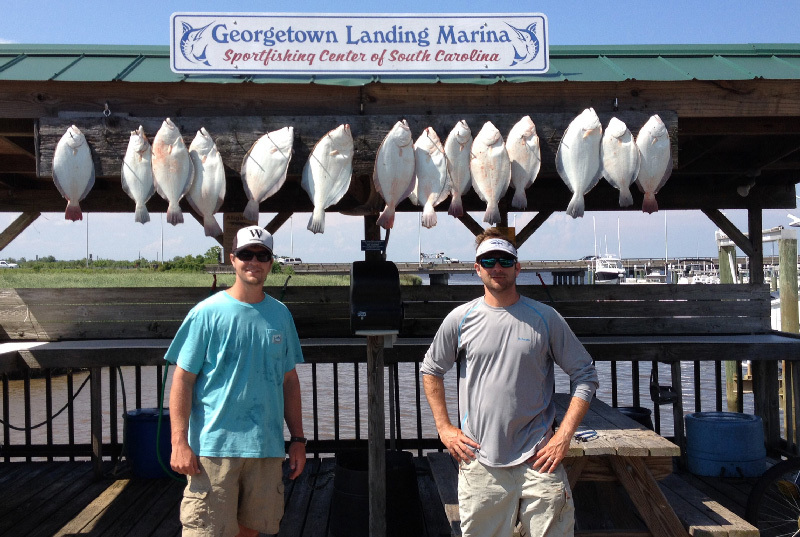 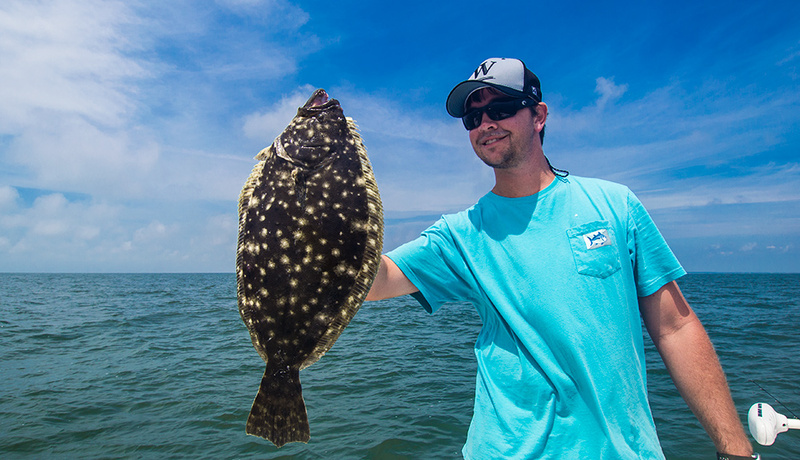 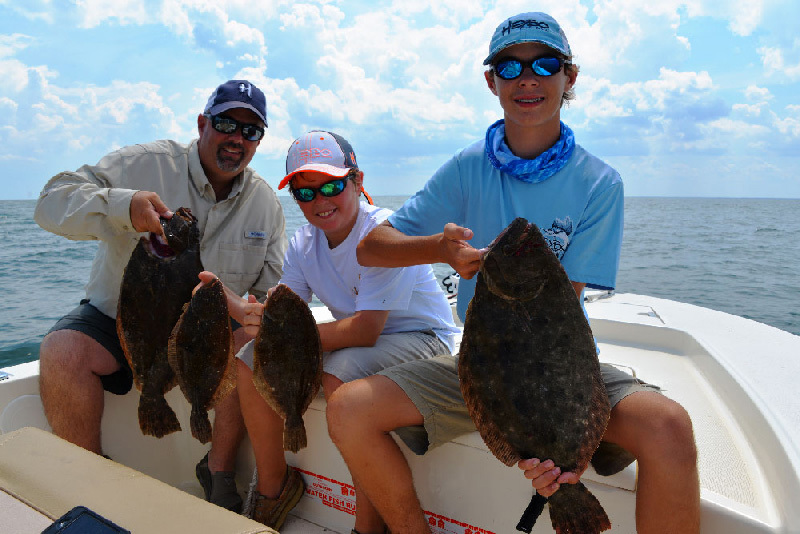 We have been doing really well on the flounder in Myrtle Beach this Summer. 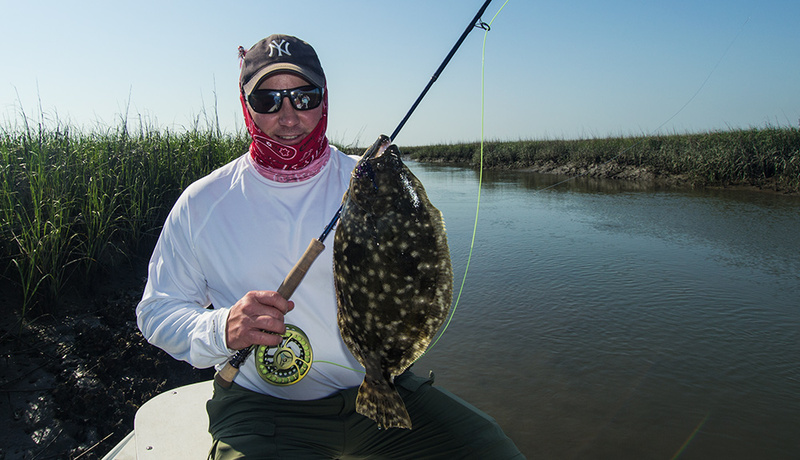 Most of the bigger flounder we are catching have been between 15-20 ft or water, however we are still finding lots of legal size fish in the shallow creeks where small ditches drain into a main channel. 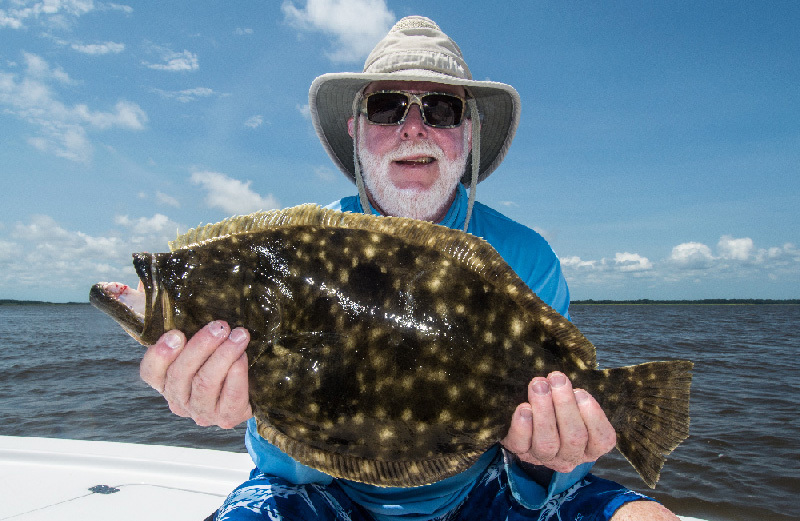 Best fishing has been the last two hours of the falling tide and the first two hours of the rise, using live minnows under a cork or a bottom rig.